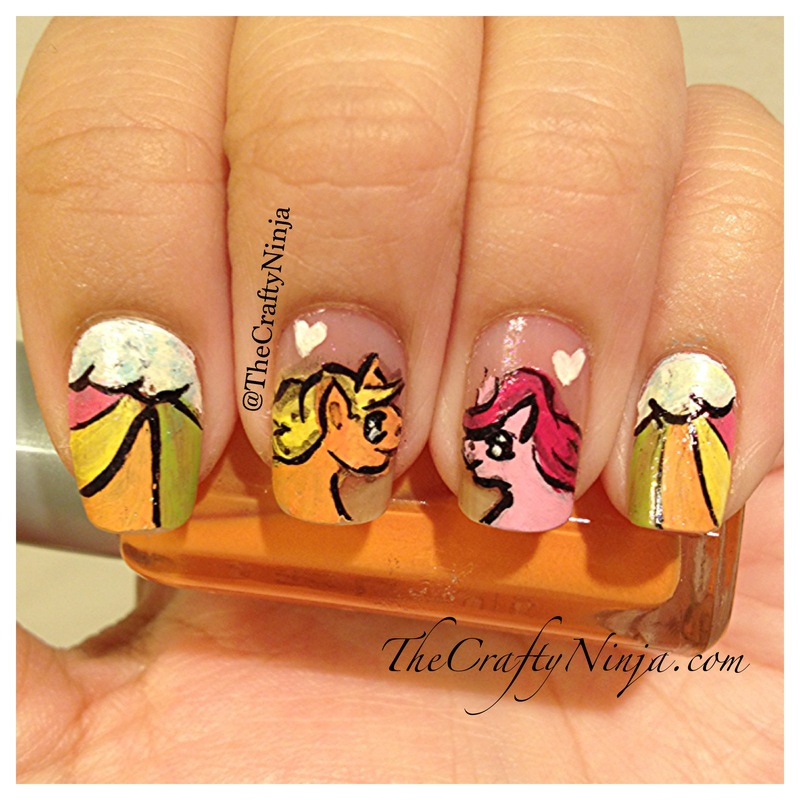 My Little Pony brings me back to my childhood of happy thoughts and playful moments. I used acrylic paints to create all the details. It’s so much easier to used the acrylic paints, it’s like I’m painting very tiny canvas. So fun and cute! I sealed with Seche Vite top coat once I finished so seal and protect my nails. Button It Up! And More!